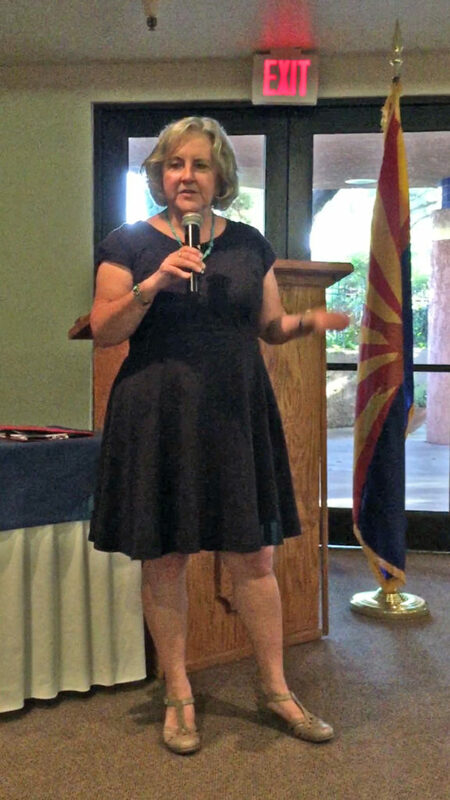 Talking about inequality and the stinky wages women make in Tucson. 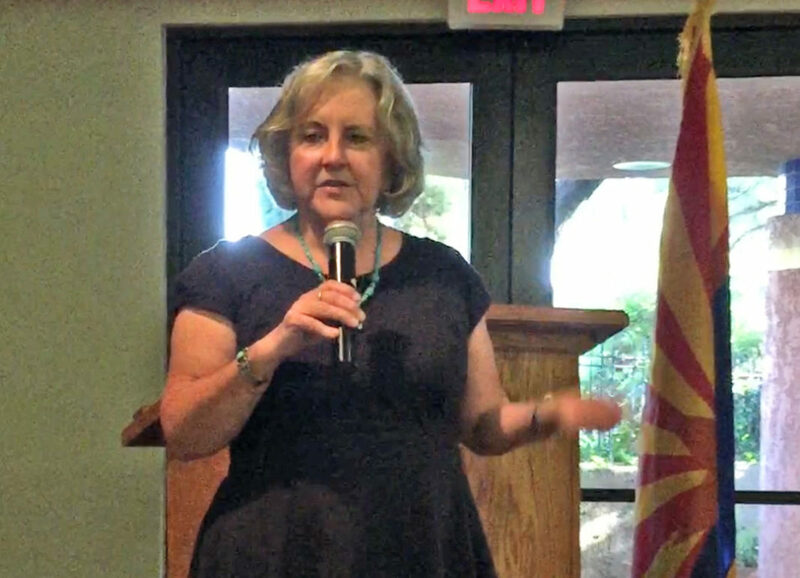 Last Thursday, the Nucleus Club hosted the second LD9 Democratic Party match-up between the three candidates who will be on the primary ballot in August– Dr. Randy Friese, Matt Kopec, and me– Pamela Powers Hannley. About 50 LD9 residents and party regulars attended the event at the Viscount. This was the fourth Democratic candidate forum that the club hosted during this election season; all were well-attended. 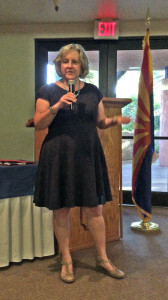 Apparently, Democrats are no longer afraid of primaries because there are several this year: Congressional District 2 (Victoria Steele vs Matt Heinz); LD10 House race (Kirsten Engel, Stephanie Mach and Courtney Frogge), LD2 House race (Daniel Hernandez, Aaron Baumann and Rosanna Gabaldon), Pima County Superintendent of Schools (Dustin Williams and Michael Gordy), and my race in LD9. I want to thank the Nucleus Club for organizing these forums. I attended all of them and learned a lot. Below are two videos that my husband shot at the Viscount. The first one is introductions and short stump speeches; the second is a Q&A session with audience questions.